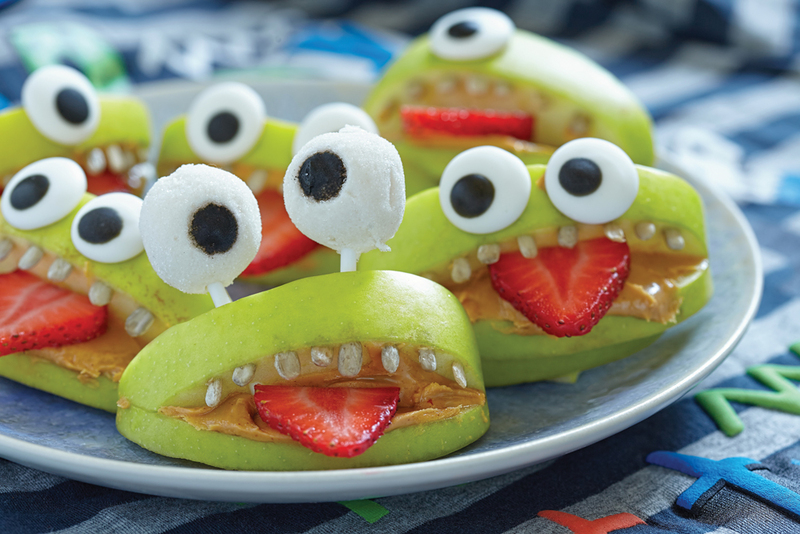 Try green or red apples with peanut butter, sunflower seeds, strawberries and marshmallow eyes with a raisin or chocolate chip. Candy corn. Caramel covered apples. Bags of chocolates with cream fillings. The allure of holiday eating is right around the corner. But attached to that sweet tooth are some scary monsters: high blood pressure, high cholesterol, heart attacks, childhood obesity and strokes. That’s why the American Heart Association and American Stroke Association wants you to keep your heart in fighting shape against you and your family turning into sugar zombies on All Hallow’s Eve. You spent countless hours making sure your kids have the best costumes for October 31st, but did you skip the healthy dinner before trick-or-treating? Childhood obesity rates in the United States have tripled since 1963. Today, 1 in 3 kids is considered obese, and nearly none meet healthy diet and physical activity recommendations. According to the AHA, childhood obesity can cause many risk factors that could lead to heart attacks or strokes in adult life. Despite the statistics, it is perfectly alright for kids to indulge a little this Halloween season, but keeping an eye on their eating habits is key in making sure they are living healthier for good. Fill Up First: The best way to make sure your kids hearts are working properly is by filling up on a healthy meal before hitting the neighborhood doorbells. Get Rid of It! Keep enough candy for one piece a day for one to two weeks (long enough for their excitement to wane), then throw away. Pair with a Healthy Snack: Pair each piece of candy with a healthy snack: an apple, a banana, some nuts or celery with peanut butter will keep your kids hearts happy, while that one special treat will keep Halloween tantrums under wraps. Get Moving: Make Halloween a fun, family activity. Challenge your kids to visit a certain number of houses in one night in a certain time frame. By the time the night is over, they will be too tired to dig into that bag of candy! Who’s the Boss? Pass out one to two candies to the kids instead of letting them take their own helpings. This helps with portion control and controls your purse strings as well! Avoid the Whole Mess: Want to avoid candy and masses of kids at your door? Dress your family up in their costumes and go see a movie. Or deliver a healthy treat to your local police and fire stations! 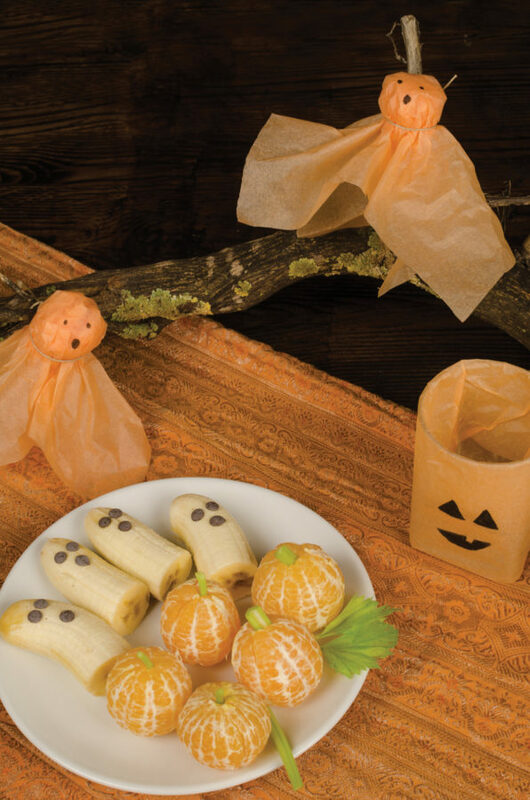 Up the Fright Factor: Serve healthy snacks dressed up in a spooky theme. Or put healthy snacks in scary lawn décor. The best part? Getting to see how many kids double dog dare each other to make the first move. Get them Moving: Tired of sitting by the door waiting to pass out candy? Dress up in a scary costume and wait behind the bushes for a group of kids to come to the door. The fright alone will send the kids running, which is good for their hearts! Fright Fest in the Garage: Turn your garage into the scariest haunted house in the neighborhood. Kids will be lining up the door to get in – forgetting all about candy and sugary drinks. 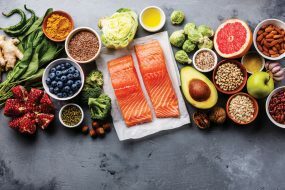 Eating healthier is easier than you think, even if you indulge a little. 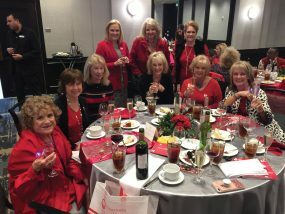 The AHA’s Healthy for Good Platform is a revolutionary movement to inspire you to create lasting change in your health and in your life, one small step at a time. The approach is simple: Eat Smart. Add Color. Move More. Be Well. Don’t be a ghoul, make the smart choice today. For more healthy tips and recipes, visit www.heart.org.